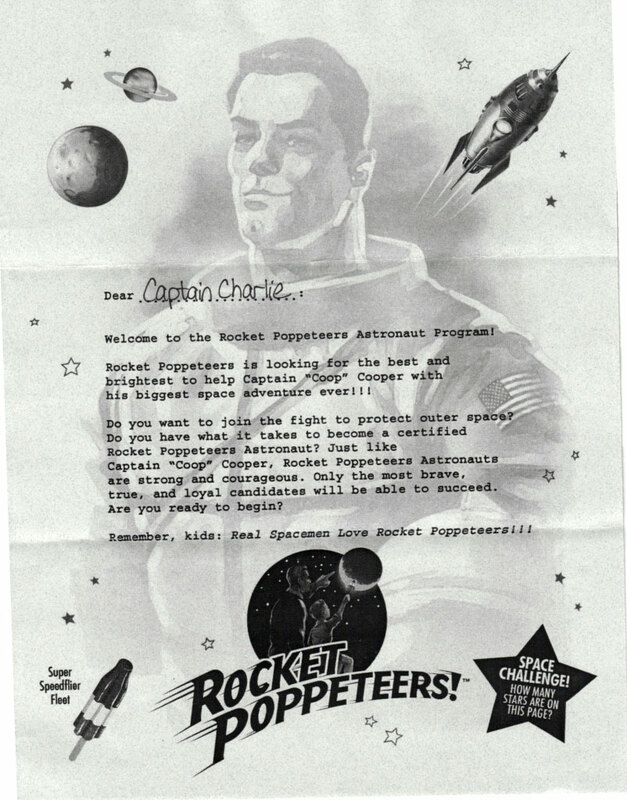 It appears as though some of our readers have gotten a surprise in the mail today in the form of a letter from Captain "Coop" Cooper and The Rocketpoppeteers! I've included screenshots, thanks to Charlie, and I've transcribed the text below in case you can't read it on the screenshot. Thanks again for posting these in the comments, at the moment nothing seems to strike as "hidden" or "significant" in the letter. Rocket Poppeteers is looking for the best and brightest to help Captain "Coop" Cooper with his biggest space adventure ever!!! Do you want to join the fight to protect outer space? Do you have what it takes to become a certified Rocket Poppeteers Astronaut? Just like Captain "Coop" Cooper, Rocket Poppeteers Astronauts are strong and courageous. Only the most brave, true, and loyal candidates will be able to succeed. Are you ready to begin? Below the jump are pictures of the front and back of the envelope that the letter came in. Keep in mind that the Moon, Jupiter and Saturn also count as stars. wow, that wasn’t what i asked at all joshua. Did everyone do the little maze thingy on the coupon before you sent it in? Selling your photos online is easy and can provide you with a great source of income….